Dawn and her friends have a plan! They’re going to eat as many leaves as they can, weave cocoons and turn into moths so they can FLY! But days go by and Dawn still doesn’t have her wings! A beautiful story about patience and achieving your dreams. Perfect for bug lovers. Filled with tiny details to discover on every page. Look-and-find bugs hidden throughout the endpapers - count them all. Themes: friendship, patience, imagination, teamwork, counting, insects, goals, flying. 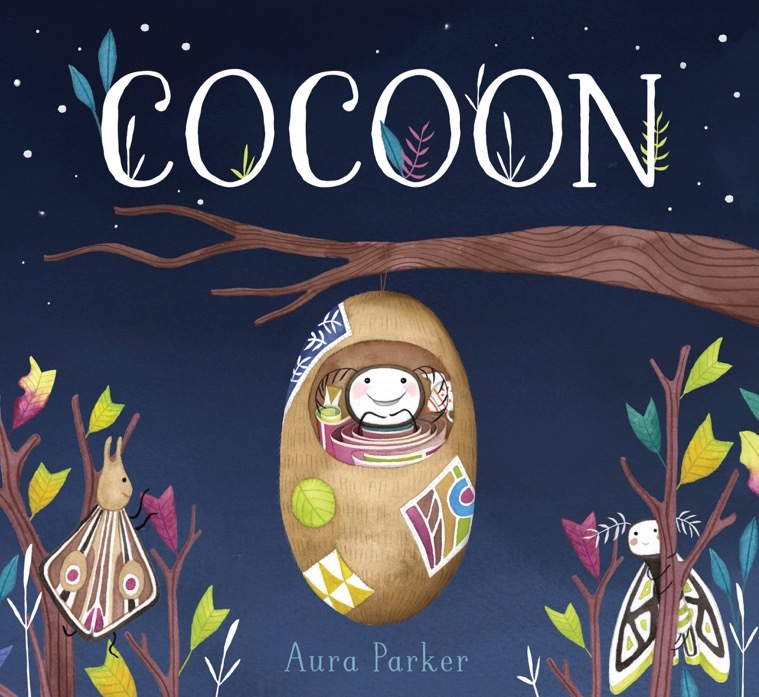 You CAN judge a book by its beautiful cover - congrats again Aura!